Earl Wild's age 78 recording of " Hammerklavier"
Re: Earl Wild's age 78 recording of " Hammerklavier"
Earl Wild was an all-around great pianist but probably was at his very best in the virtuosic Romantic repertoire that made him so famous. That particular recording appears on the Ivory Classics label. After his many years with Baldwin Piano, and their sad demise, Wild became a Kawai pianist playing their top of the line concert grands. 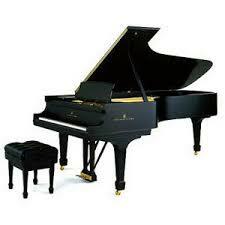 And a wonderful piano is this, and a fine interpretation by a 78-year-old artist. My "go-to" recording remains the one by EGON PETRI, who recorded it for Westminster (now in the DGG/Westminster big box set, and also an early recording appearing on Appian (APR). Westminster offered some of the best monaural piano recordings I have ever heard and Petri was at his absolute peak in the Westminster. It's certainly an intelligent and thoughtful reading of that movement from the "Hammerklavier". This sonata is a staple really and that movement is so very special; a private conversation between Beethoven, the musician and the listener. I just couldn't be without it and we can superimpose our own narratives on its extended journey. It rewards, over and over and never dulls from repeated hearings. I'll be discussing this sonata in our music appreciation course in the second half of this year, and am really looking forward to it.